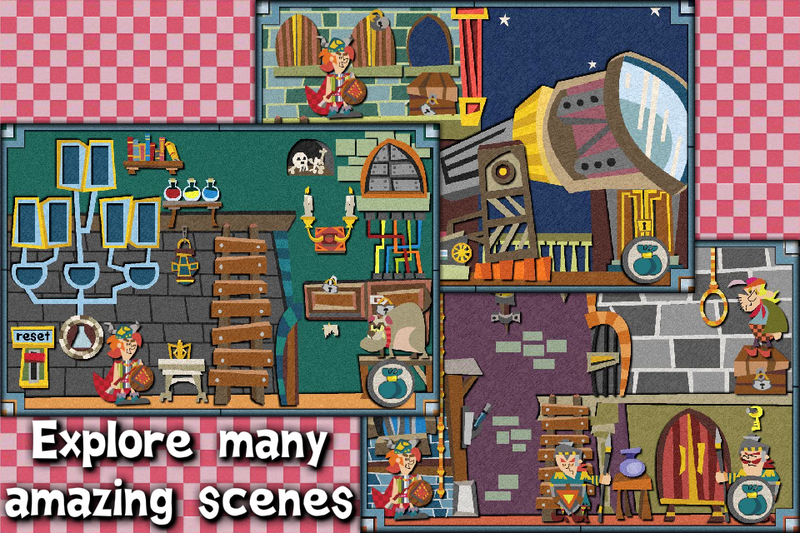 Set in a whimsical atmosphere full of challenging puzzles,enjoy this new point and click puzzle escape game ! Princess Estelle has been abducted by the Evil Wizard !!! 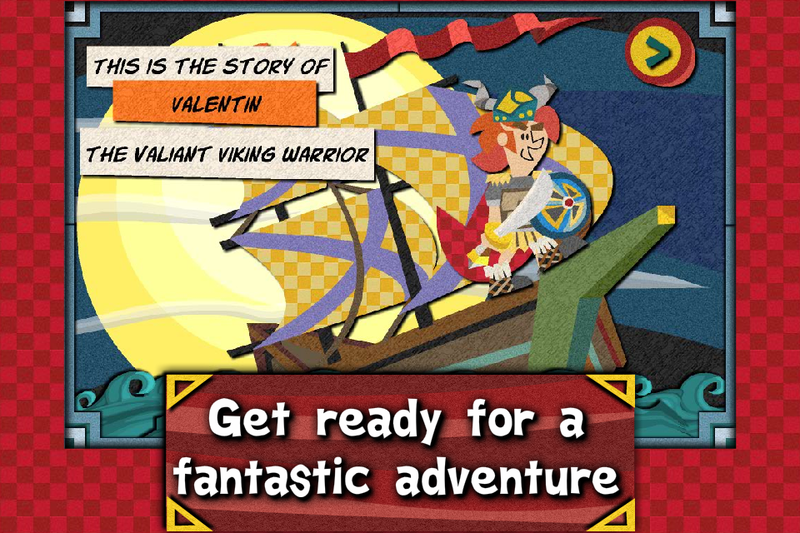 Valentin, the puny little Viking sets off on the quest to rescue her. An utter disappointment at wielding any sort of weapon, Valentin should rely on his brains rather than brawn to succeed in this task. Experience a fantastic point and click adventure with Valentin as he explores through amazing locations in the Wizard’s castle. 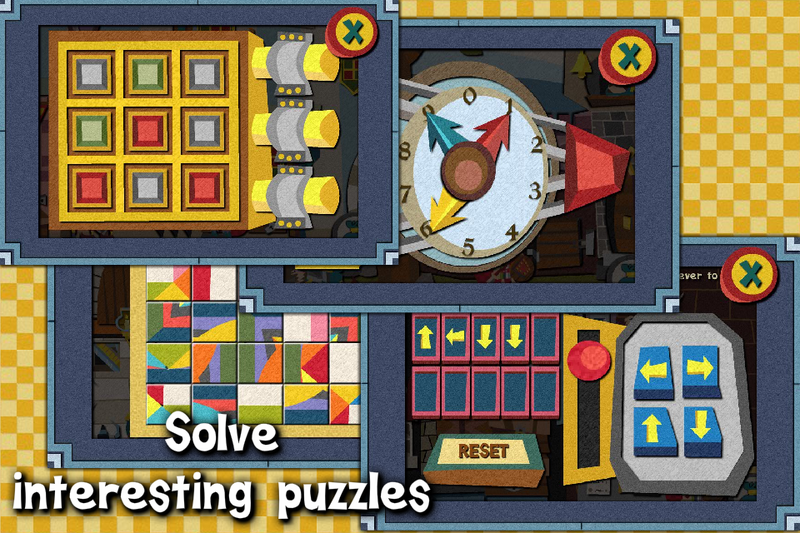 Collect various useful items and solve perplexing puzzles. You will also have to overcome the nasty guards to advance. If you are stuck, just tap on Valentin to get hints and cryptic clues. 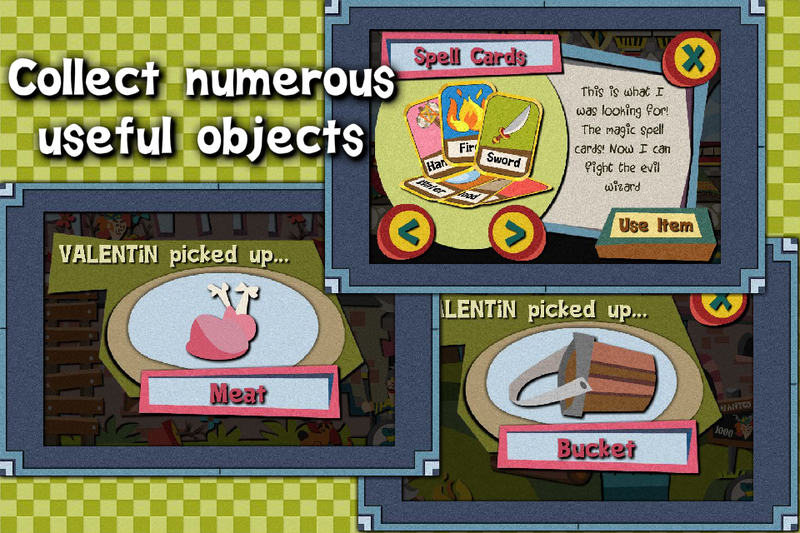 ★ Lots of locations to explore, objects to collect and puzzles to solve. ★ Game auto saves after every scene. ★ Hint system based on cryptic clues. ★ An universal app offering great value for money.